Already an eWater customer? Earn 50 Loyalty Points today by opting into your Loyalty Rewards account using your pre-existing eWater.com account email. Click the button below. 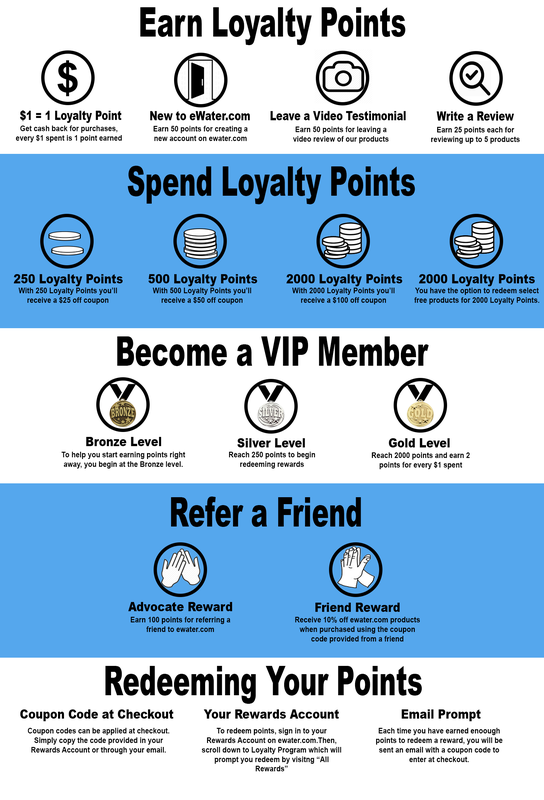 Earn 50 Points and get started today by joining our Loyalty Program! Create an account to start redeeming your points today.